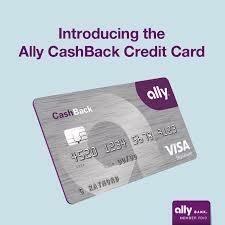 I got some cash back from my Ally card. If you would like to read the initial review of the card please click here. I decided to redeem the cash back to my savings account instead of taking it as an account credit. This card gives an additional 10% cash back if you redeem the points towards your savings account. This may not seem like a lot but every cent counts. You cannot redeem points for gift cards or merchandise like you can with some other cards. This may not appeal to everyone, however it is not a problem for me. In this case, fewer options means that Ally can keep their costs down. This may play into why they can afford to give such a generous bonus for direct deposit when you redeem to your savings account. So far I really like the card. It is easy to redeem the points and I can get a bonus 10% for depositing it to my account. This is similar to other cards, however the bonus upon redeeming is what sets it apart.